Karen Persis practices law because she enjoys solving problems and helping people. Her approach is open, honest, and creative. 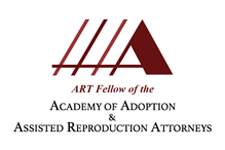 She provides comprehensive and practical legal representation to individuals and couples in all areas of assisted reproductive technology law and adoption throughout the State of Florida. Karen listens to her clients and combines their needs with her experience to create strategies that best represent her clients’ legal, financial, and long-term family building goals.